He popped the question. You said yes. Now what? A big surprising social media announcement that will make all your friends go "Aww" of course! In this day and age, our lives are intrinsically linked with our social media profiles and it is one of the best ways to inform your loved ones about the next big thing in your life. However, before you change the status, make sure you inform the immediate family and close friends personally or on call! Now that you have done that, let's look at the 5 unique and quirky ways to announce your engagement on social media. 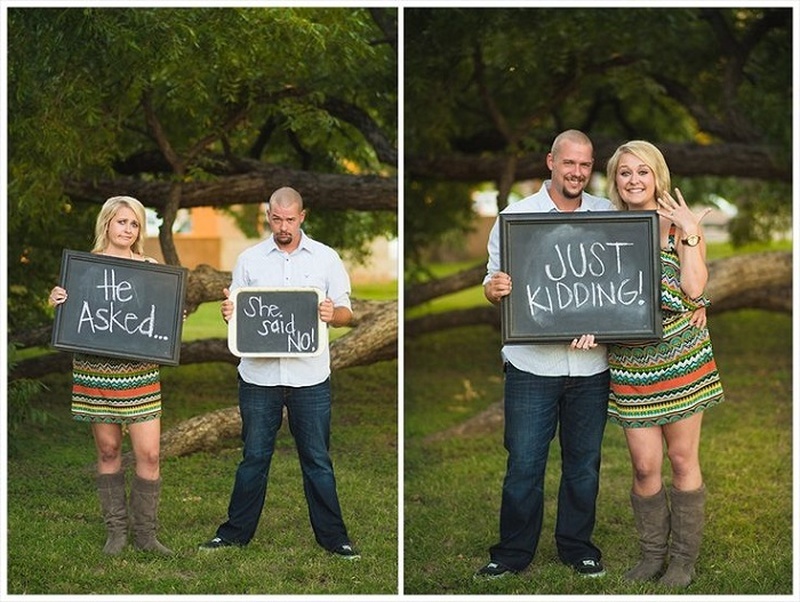 An engagement photo shoot with subtle hints? We love this idea! Nothing like a little tease to let your friends know! Nothing like announcing the next big step with an old favourite! If you have a favourite show or movie, this should make it perfect for you! If you are the couple with the goofy / wacky sense of humour, this is your cup of tea! If you are the goofy couple, you will love this!